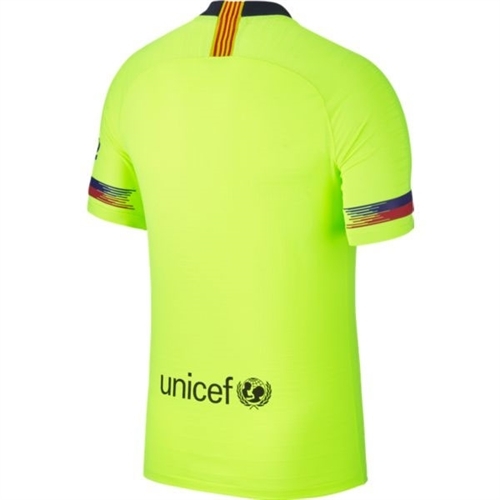 FC Barcelona crest and away-game colors show your team pride. Nike VaporKnit technology combines lightweight cooling, reduced cling and precision fit. Quick-drying, high-stretch yarn provides flexible comfort. Open-knit structure in key areas increases airflow. Raglan sleeves eliminate shoulder seams so your arms move freely. 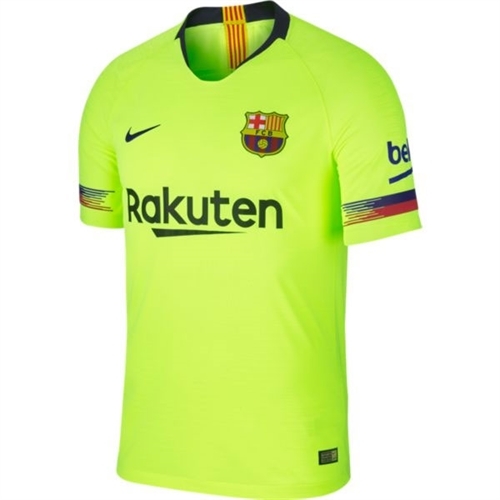 Our Nike Barcelona Authentic Away Jersey 2018-2019 is the same jersey players wear on the field, with signature details and a complete cooling system for club pride and total comfort.